Weddings are truly special occasions. It is not everyday that you get married. Many folks plan for their weddings weeks and months ahead of time. If you are planning to hold an impressive wedding event, you may as well create a website to display photos, videos, and other material from your wedding online. Mr. & Mrs. is a powerful WordPress theme that lets you start a presence for your wedding event fast. Mr. & Mrs. has everything you need to promote and celebrate your wedding event while letting your friends and family members keep up with your great day. It has a fully customizable front-page and comes with 4 skins. 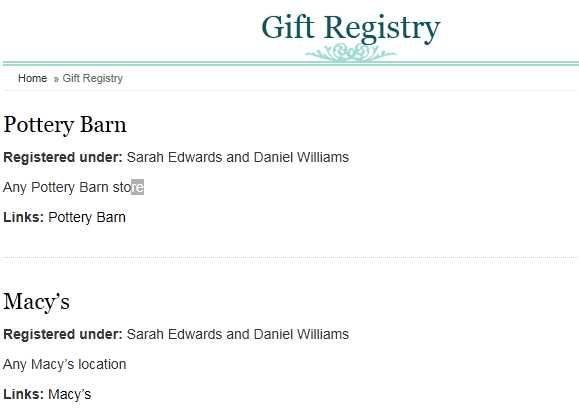 You can use this theme to share your story, gift registry, wish list, and the companies you are planning to work with online. 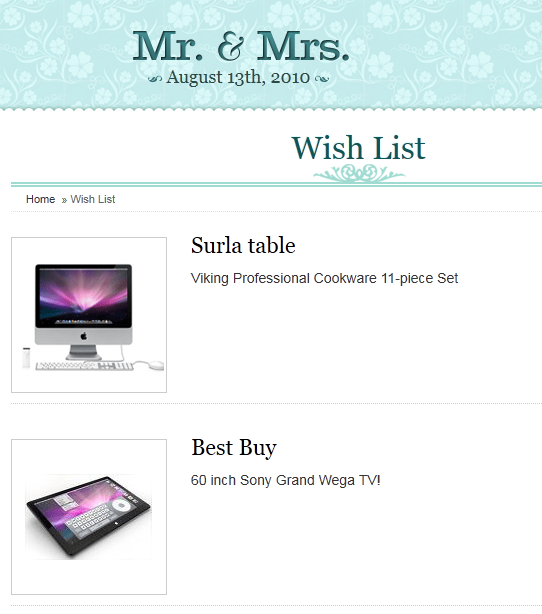 Mr. & Mrs. theme can be easily customized to meet your event’s needs. 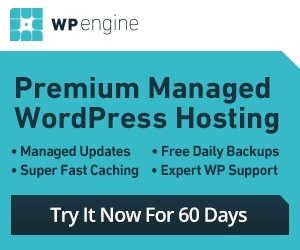 It has a powerful control panel that users can take advantage of to customize the behavior of their theme more effectively. You don’t have to resize your thumbnails as this theme does that for you.. It can be easily translated to other languages, just in case you aim to have an international audience for your wedding. 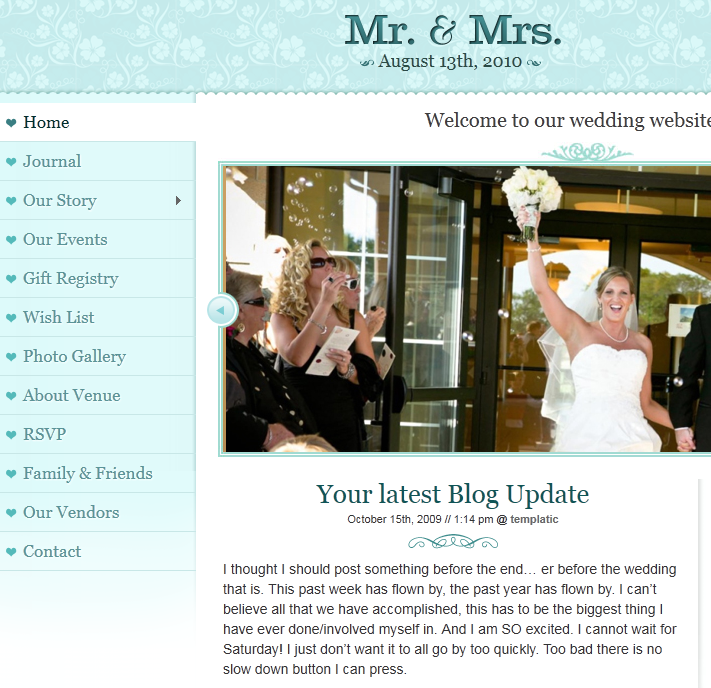 Mr. & Mrs. theme is pretty clean looking and can serve as a nice skeleton for your wedding content. You are still going to need photos, videos, and other content to get the most out of this theme. Don’t forget to upload your favicon, logo, and other information from its options page.